HomeOur Skills and Handmade CraftsType of CraftCrochetHandmade crochet baby/child’s hat. 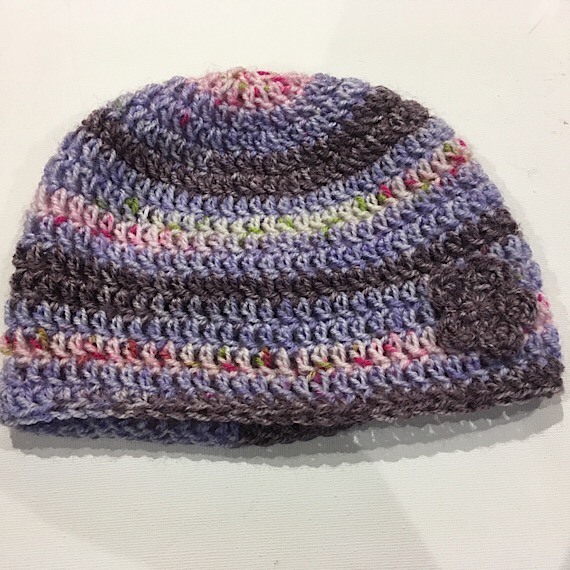 Cosy soft crochet hat, with a cute flower on one side..
Can be made to fit any age babies or children. Made from acrylic wool so can be washed on a gentle wash cycle or hand washed.